I'VE BEEN stationed at the Charity Wards since July. I'm sharing and annotating some photos taken randomly during my stay there. 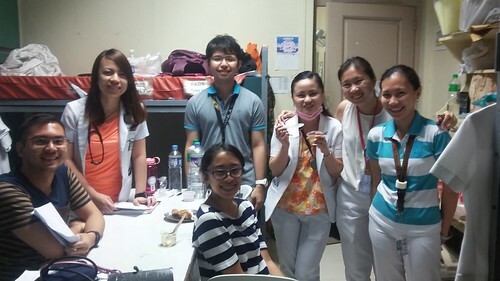 Interns from Services 3 (where I've been assigned since, believe it or not, clerkship) and 6. 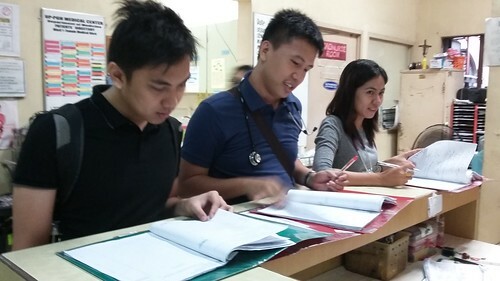 They look fresh in this photo despite monitoring our patients nonstop. Laya Zamora, already a lady, brainstorms on her medical management. 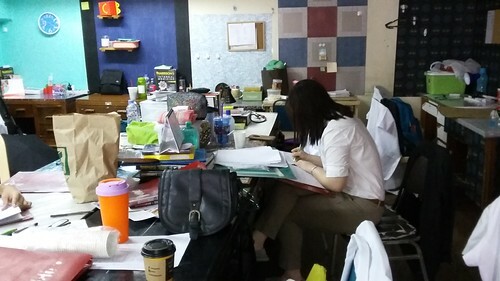 She owns the desk beside mine. The center tables in the call room comprise the center of the world. Charting in the early morning. 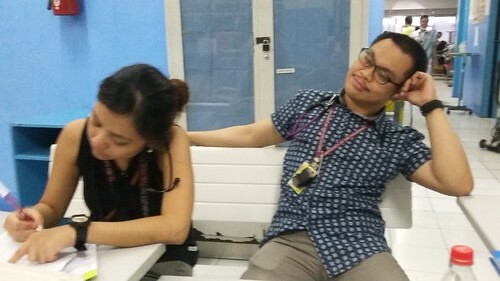 Roland Angeles finds a quiet spot at the nurses' station. Your Grace Penserga prefers to stand, a techique of forcing one's self to chart quickly lest one gets leg pains. 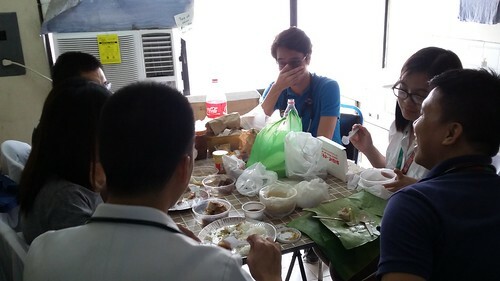 Jere Vallente, Roger Velasco, and Racquel Bruno contemplate the meaning of life and the near-impossibility of sending some of the patients home that day. Charting conversations tend to get very philosophical and moral; for this instance, Rog problematizes his patient's lack of a job. 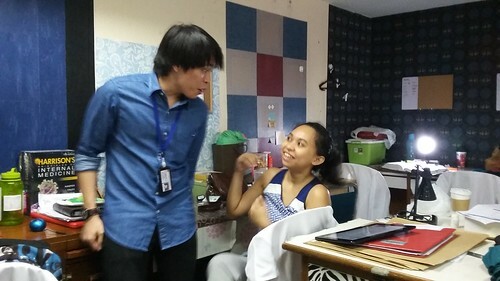 Best friends Carlos Cuano and Your Grace Penserga share a funny moment at the call room. Their friendship, forged by the fact of a missing antibiotic, is one of best surprises of my medical training. Team B! 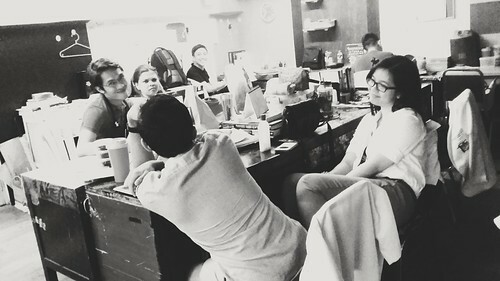 Myself, Bea Uy, Mervyn Leones, Racquel Bruno, and Danes Guevarra. We are the most quiet people in the world, sharing the most quiet lunch that day. 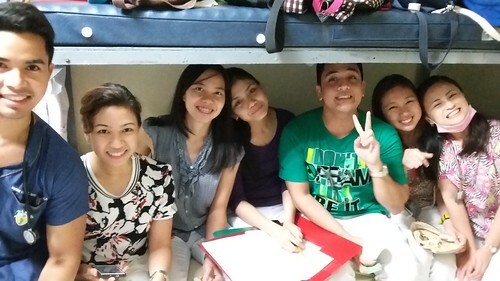 Quiet afternoons at the call room. Laya shares her tragic stories about bullying bantays. 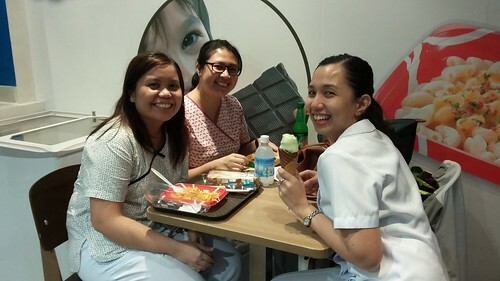 Spotted at Family Mart: nurses from the ward taking breather after what I assume has been a difficult shift. They're so good they can spot a wrong chart order and immediately call the doctor's attention to have it changed. 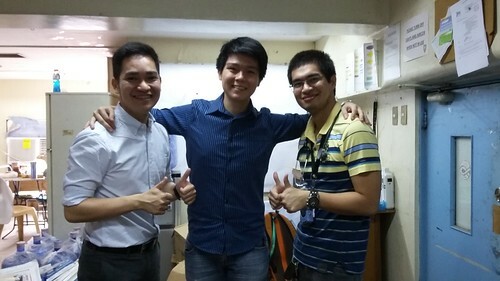 At the newly renovated interns' call room, with interns from our service and our sister service. 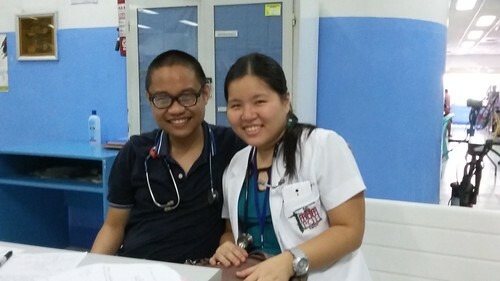 With Lennie Chua-de Castillo, my longtime blockmate and a dear friend, currently training in Neurology. 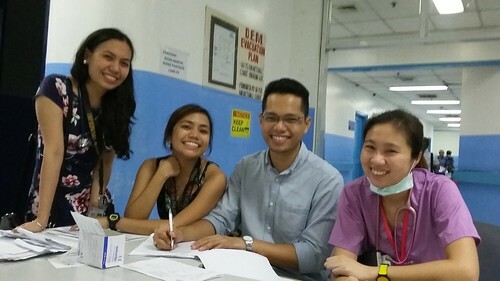 ER disposition rounds with Dr. 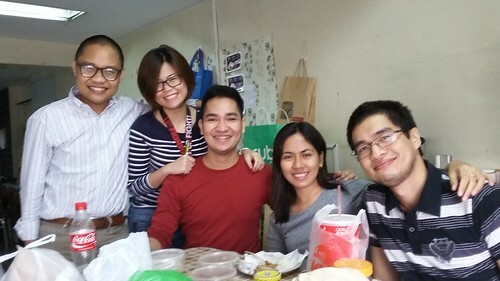 Mean Roque, our service senior; Jolene Gatmaitan, our rotator from Dermatology; Kim Fontanilla, one of our PODs currently on an Adonis diet (it shows, Kim); and our JAPOD Jessa Apa. 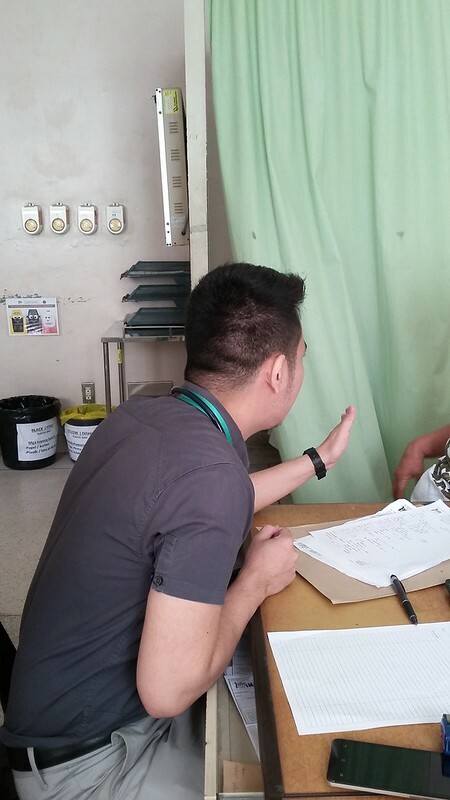 Josh Abejero, one of our Neurology rotators and the best intern in the straight IM program during his day, teaches a student the shortcuts of interpreting an ECG. 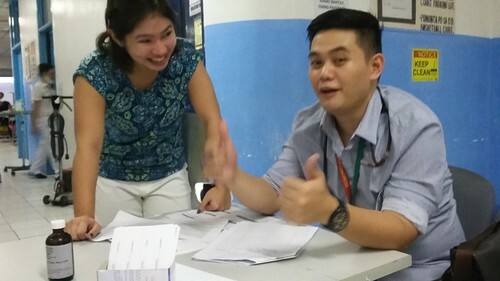 Jolene Gatmaitan makes sense of a case of salt-losing nephropathy, while Ton Alad looks on. Ton confesses that he gets excited by the promise of reading Harrison's on a quiet night at Starbucks. He has won many awards for the Department, including this most recent quiz show at the Heart Center. 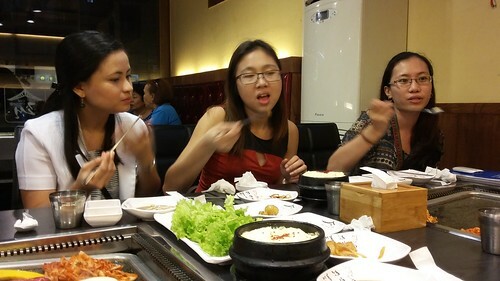 Service dinner at a nearby Korean restaurant. 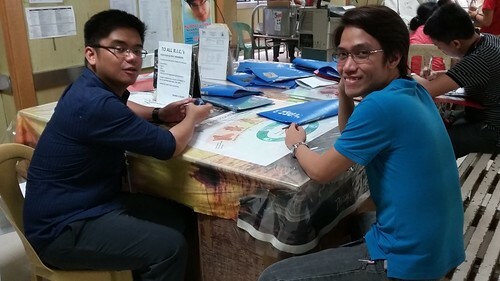 Our interns from Service III. The embodiment of physical fitness. Jere Vallente and Roger Velasco wait for our vehicle--this, after a hearty meal at a pharmaceutical-sponsored event at Shangri-La Hotel. 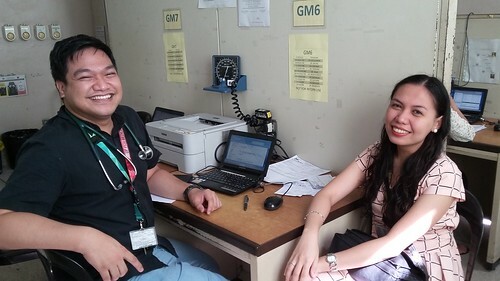 Mervyn Leones, exam-topper, shows what patient education should be like: passionate, heartfelt, and loud. OPD forevermates Drs. 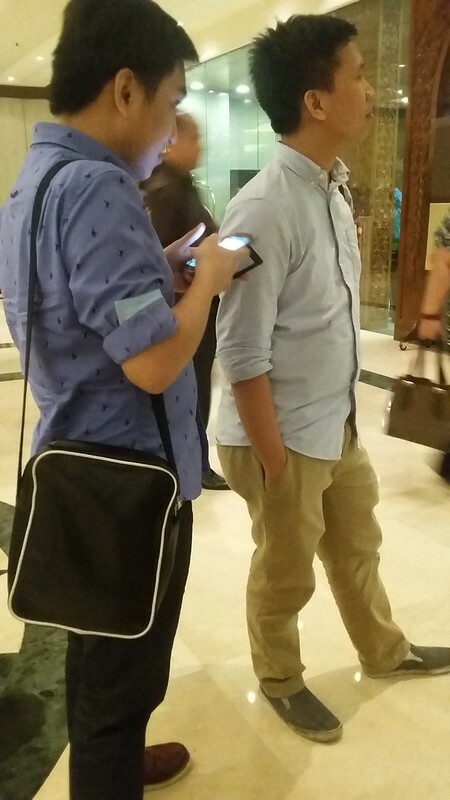 Paolo Vergara and Mean Roque. As they always say, "Kami pa rin ang nagsasara ng OPD." So grateful to have been mentored by them. Jay and Jay. Stellar ng bayan. Post-audit relief. Rich King, during his Audit, had a great and fruitful discussion of rare case of scleroderma he handled at the ICU. He is flanked by Mervyn Leones and Danes Guevarra, both of them into lifting weights and bulking up. Examine this link if you wish to explore get writing tips and tutorials on how to master your writing.